Free Download Flud – Torrent Downloader v0.9.8.4 from revdl.com. Flud is a simple and beautiful BitTorrent client for Android. 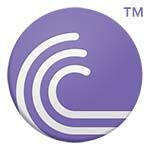 The power of BitTorrent protocol is now in the palm of your hands. Share files with ease from your phone/tablet. Download files directly to your phone/tablet. Features :* No speed limits on downloads/uploads* Ability to select which files to download* Ability to specify file/folder priorities* RSS feed support with automatic downloading* Magnet link support* NAT-PMP, DHT, UPnP (Universal Plug and Play) support* µTP (µTorrent Transport Protocol) , PeX (Peer Exchange) support* Ability to download sequentially* Ability to move files while downloading* Supports torrents with large number of files* Supports torrents with very big files (Note: 4GB is the limit for FAT32 formatted SD cards)* Recognizes magnet links from the browser* Encryption support, IP filtering support. Proxy Support for trackers and peers. * Has option to download on WiFi only* Ability to change theme (Light, Dark, Light with dark actionbar)* Modern (Holo) UI* Tablet optimized UIMany more features coming soon…Note: Since Andoid KitKat (Android 4.4), Google has removed the ability for apps to write to external SD card. This is not a bug in Flud. You can only download in foldrer Android/data/com.delphicoder.flud/ on your external SD from KitKat onwards. Please note that that folder is deleted when Flud is uninstalled.Help translate Flud in your language so others can enjoy it too! Join the translation project here:http://delphisoftwares.oneskyapp.com/?project-group=2165We’re happy to announce that the paid ad-free version of Flud is now available for download. Search for “Flud (Ad free)” in the Play Store.You feedback is very important. Don’t hesitate to drop us a mail if you find any bug or you would like to see a new feature in the next version. If you are giving less than 5 stars, please leave a review telling us what you didn’t like in the app.